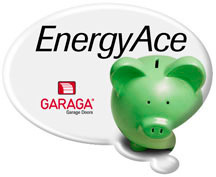 Garaga’s outstanding energy conservation leaves the others out in the cold. Our garage door system offers the best energy efficient solution on the market with superior insulation and numerous thermal breaks. You will feel the difference.